Students looking to legally light up joints or relax with a pot brownie after mid-terms this year might be in for a surprise. Universities are just starting to release details of their cannabis policies, and some plan to ban the smoking of marijuana and the consumption of edible cannabis even after it becomes legal on October 17. University of Guelph vice-president Don O’Leary tells CTV Kitchener that in Ontario, consumption of cannabis will only be allowed in private residences -- not public spaces or workplaces. Considering that the residences on Guelph’s campus don’t allow smoking of any kind, that means inhaling recreational weed will be effectively banned. When it comes to edibles, O’Leary said he expects them to be permitted to some degree with “reasonable” restrictions similar to alcohol. Drinking is currently allowed in residences at Guelph, but only in rooms and other designated areas. In Quebec, province-wide regulations specifically outlaw smoking cannabis “from on grounds where buildings placed at the disposal of a post-secondary educational institution are situated,” which means no smoking on any campus. McGill University in Quebec has gone a step further, banning both cultivation of cannabis and consumption of “edibles, drinkables, topicals etc.,” with possible disciplinary action for those who disobey. Schools in Alberta, B.C. and Nova Scotia could end up being a little more relaxed about smoking, thanks to less restrictive provincial rules. In Alberta and B.C., smoking will be allowed anywhere other than cars, areas frequented by children and where tobacco is restricted. In Nova Scotia, the province will allow smoking where tobacco can be consumed. But university policies in those provinces remain hazy. The University of British Columbia and University of Victoria both say it is too soon to comment on their new policies. 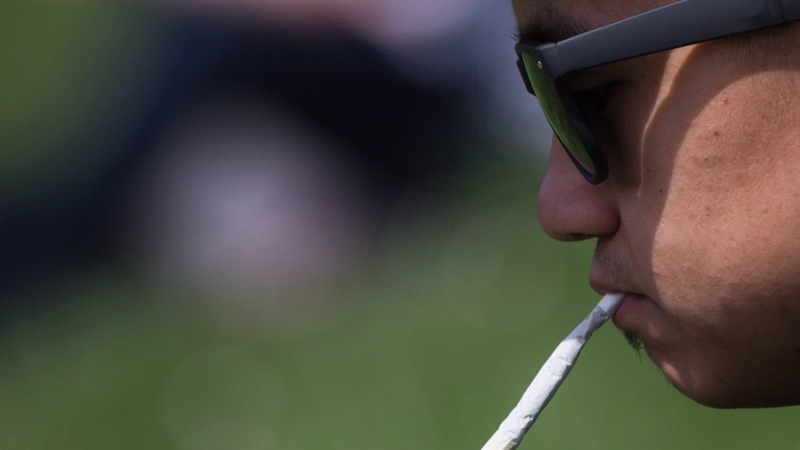 Kevin Friese of the University of Alberta says that a university working group has recommended smoking of cannabis be allowed in a limited number of designated spaces on campus, but whether that happens will depend on an upcoming City of Edmonton bylaw. However, consumption of any kind of cannabis – including edibles – will not be allowed in University of Alberta residence rooms, according to Friese. The University of Regina in Saskatchewan recently banned all smoking on campus, including cannabis, and has banned growing cannabis in residence rooms. It has not yet outlined whether it plans to allow edible products.